ST-CROIX, QUEBEC, CANADA, 4 February 2017 – Bibby-Ste-Croix, the premier Canadian cast iron drain, waste, and vent (DWV) pipe manufacturer, is pleased to announce a new CAN/ULC-S115 2-hour FT Through Penetration Firestop Listing with Intertek. With this new listing, there is no need for contractors or engineers to consider toxic plastic piping systems that could be hazardous to human health in a fire situation. Cast iron is a safe non-combustible building product that is durable and will not burn or melt in a fire. In addition, this listing for cast iron reduces the need for complex firestopping systems that are required for a plastic piping which tend to increase the total installed cost of a PVC system. 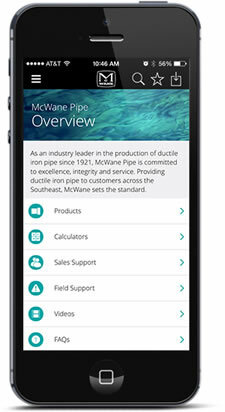 About McWane - McWane, Inc. is a family business based in Birmingham, Alabama with companies across the United States and the world. We continue to be the leader in delivering clean, safe drinking water around the world while focusing on the safe, environmentally-friendly manufacturing of our products. For more information please visit www.mcwane.com.